There's a new-to-me book on my counter, on my sofa, the dining table, the bedstand.. in fact in the first week it arrived I took it everywhere to read and to look at the pictures.. Seriously can there be anything more enticing for a savoury girl than pictures of pie? Crisp and flaky, golden hued pie in every shape and flavour. 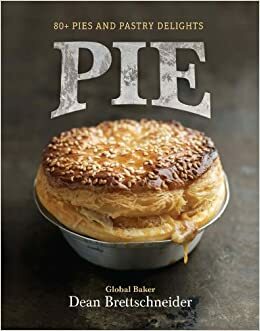 "Pie" by Dean Brettschneider (Jacqui Small Publishers) features a collection of over 80 pies both savoury and sweet in all shapes and sizes. Dhabi, Manila, Tokyo & Kuala Lumpur". The book is well laid out with chapters as Meat, Seafood, Vegetarian and Sweet pies (even something that's called "not-quite-a-pie, in which eg. cornish pastries, sausage rolls and flammkuchen are introduced). There's quite an extensive introduction of the history of pies (which sounds like something Monty Python could have done), ingredients and equipment. The basic recipes for the pastries are grouped together in the back of the book. There are inviting pictures of almost every recipe; lovely, rustic and edible pictures that manage to at the same time lure you in and not scare you. You know where you page through a book and think oh my that is just gorgeous but I can 't do it? Pictures here are equally gorgeous and still make you feel you can do it yourself. I like that! First of all, ingredients are in weight! Grams, ml and spoons!! One would expect this would be common practice especially in baking books but it still isn't. So yes, I am happy. Furthermore I really appreciate the fact that there are individual pies as well as family sized ones, with ingredients that are easily available around the globe. As I said, inviting and doable. 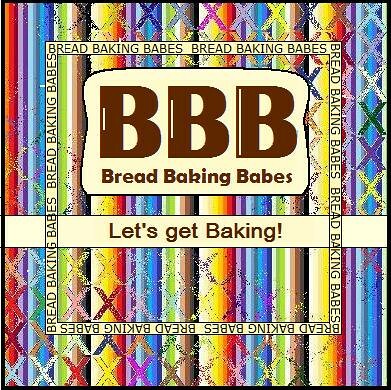 Loads of pictures to be found in the "Basic Recipe" section as well, helping you along to get the best puff pastry you can make, how to bake blind and topping your pastry. Very helpful for the first timer as well as the experienced baker. The only thing I would like to see is a time schedule; preparation time, cooking time, waiting time. I missed that. Now what did I try? The family really really wanted me to make the "Bacon, Curried Egg and Ricotta Pie".... I chose to bake the "Sweet 'n' Spicy Veal, Pork and Macadamia Nut tart" (sans nuts because I forgot to buy them :-()). Serving 8 people? Family of 5 liked it so much they left only 1 slice.... and didn't touch the green salad I made to go with it! Place fennel seeds in a pestle and mortar and grind to a rough powder, ensuring that it's not too fine. Set aside. Place flour, fennel seeds, butter and salt into a large mixing bowl. Using your fingertips, gently rub ingredients together until they resemble rough breadcrumbs. Do not overmix otherwise butter will begin to melt from the heat of your fingers. Add water and mix until a dough is formed. Cover with clingfilm and refrigerate for 30 minutes of overnight. Gently re-work pastry before using, taking care to ensure it remains cold and firm. On a lightly floured surface, roll out pastry as stated in your recipe. (line tin with rolled dough, trim edges and refrigerate for 1 hour. Line with aluminum foil and bake blind for 10 minutes in a preheated 180C oven. Remove foil and weights and bake until dry and crisp (10 minutes) Transfer to a rack and cool completely, about 30 minutes). We were so enamored with the pastry! I am not scared by pastry dough anymore but I still find it a tricky thing.... this pastry? Even the kids commented on how flaky it was and maybe I could use this pastry to make sausage rolls as well? The filling was a surprising combination, there's a lot going on in this filling but the parts do make a whole in this case. Then I baked the "Rhubarb, Blueberry and Strawberry Shortcake Pie" because the shortcake thing peeked my curiosity and it seemed like a quick little number. Since this isn't rhubarb season anymore I used fresh raspberries and strawberries along with frozen blueberries and substituted some sauteed apple pieces for the rhubarb. This is a real good one! Not overly sweet, fresh and lovely. The filling stays soft-ish and gooey, the shortcake is sturdy enough to take along on a visit, great to slice but still melt in your mouth. Now I need to conquer making puff pastry from scratch.... several recipes in the book. I trust I will find time and courage in the next weeks. Will let you know! We're hooked on this book. They've been begging me for that "breakfast for dinner" pie since a week. To order Pie at the discounted price of 23.58€ including p&p* (RRP: 29.47€), telephone 01903 828503 or email mailorders@lbsltd.co.uk and quote the offer code APG18. *UK ONLY - Please add 2.95€ if ordering from overseas. Ooooh sounds like the perfect pie book. Yum! I believe I could get into pie with this book. Intrigued by that short cake pie, I'd love to try that one.